Climate control, thermal management and HMI for the automotive industry. Current information and news from the BHTC world. 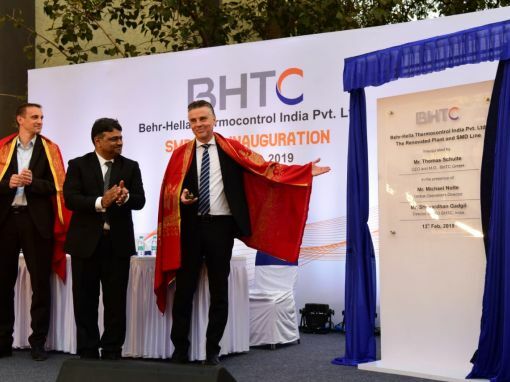 The 14th anniversary of the BHTC location India was duly celebrated on Wednesday, February 13th 2019, in the renovated factory. 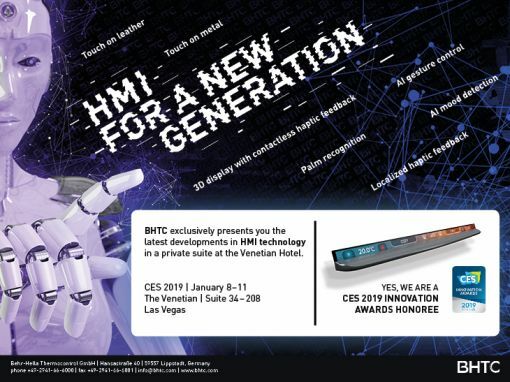 We exclusively present at the CES the latest developments in HMI technology in a private suite at the Venetian Hotel, Las Vegas. With the introduction of the new AUDI A6, BHTC presents three revolutionary interior products. BHTC is a trusted partner to the automotive industry. Find out more about our range of climate operating panels and control units. It is quite likely that also your climate control was made by BHTC. Functional, intuitive, and outstanding workmanship quality. Climate operating panels from BHTC! Climate control units from BHTC mean powerful electronics that contain highly complex climate algorithms. Top-quality intelligent sensors, auxiliary heaters, blower controllers, and fans. The new kind of climate control, detached from hardware components. 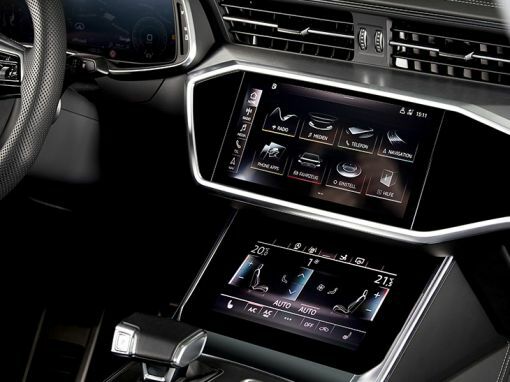 HMI – the interface between vehicle and human. Find out more about our outstanding operating and display elements. The latest display technologies with multi-touch and other ground-breaking innovations. Operating interfaces that convey the haptics of a conventional button. BHTC as a pioneer of future technologies! We don’t only dream up visions, we turn them into reality. Take a look at the future now! Freely configurable operating panel. Maximum customization for the interior. New intuitive operating options for the vehicle interior. Frameless in-cell multi-touch display including force sensor and tactile feedback. The control center for the vehicle interior. The innovation forms the basis for our successful product development. Technical competence, creativity and the experience of numerous experts mix with each other. Thus, we have achieved a leading position as global manufacturer for climate control panels and units for vehicle air conditioning.